RoleAbout Success for PreAdvanced Theatre! 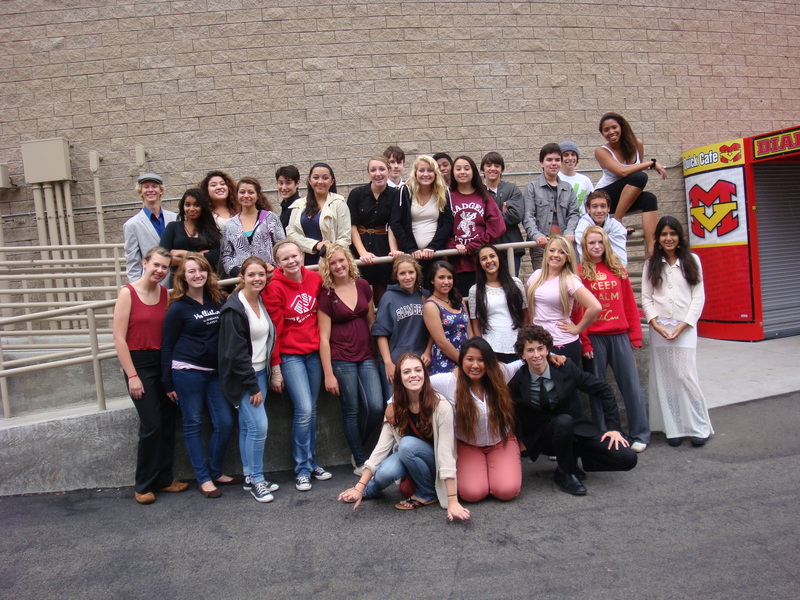 Carlsbad High School PreAdvanced Theatre students won two 3rd place medals at the 10th Annual RoleAbout Festival at Mission Viejo High School on Saturday, October 20. In the Classical Monologue category, John Collison won 3rd place for his performance as the Guard from ANTIGONE. Gunnar Sexton, Clare Sinai and Kenadee Watson won 3rd place with their scene from THE MERRY WIVES OF WINDSOR in the Classical Scene event. Placing in the Finals were Max DeLoach performing “Why, God, Why?” from MISS SAIGON, Kitty Knorr’s Original Monologue “Addiction”, Cameron Penn’s monologue from the film 127 HOURS, and Karinya Ghiara, Tara Robertson and Megan Ohlin’s performance of a scene from the film LEGALLY BLONDE. Serving as student judges were Ally Houston and Destiny Girley, and Deja Sanders supported the festival as a volunteer. Congratulations to the class and many thanks to the parents who joined us for a day of great theatre! New posts coming to the CHSTD Blog! Stay tuned for posts about our fall comedy, Almost Maine.